Japanese chemicals supplier Mitsui Chemicals is expanding capacity for its Milastomer vulcanised thermoplastic elastomer (TPV) by adding on one line of 5,000 tonnes/year at its wholly-owned domestic subsidiary, Sun Alloys Co., in response to upswings in demand for thermoplastic olefinic elastomers. Commercial start-up is slated for October 2017. Currently, Sun Alloys has total compounding capacity of 60,0000 tonnes/year for Milastomer and other Mitsui Chemicals products. Milastomer is said to be a lightweight, soft resin with low density and excellent mouldability. Demand has grown significantly for uses in automotive materials, gaskets and civil engineering joint fillers, building materials, and grips, and is expected to continue to expand around the world in line with wider uses in automotive interiors and as weather strips. The planned production facilities augmentation for Milastomer is a proactive response to such demands, says the firm. In the Mitsui Chemicals Group’s Mid-Term Business Plan, it positions the Mobility segment as a targeted business domain that drives growth, in addition to the Healthcare and Food & Packaging domains, and has continued to proactively expand operations. The Group’s Milastomer business is a core business in the mobility domain and we will continue to bolster growth and expansion. Mitsui Chemicals, as a solution provider, will continue to strengthen its Milastomer business through such efforts as the current planned Sun Alloys production augmentation to expand its business around the world by capturing demand in the growing global market by responding to needs, says the firm. Meanwhile, Sumitomo Chemical has decided to construct a new production facility for polyethersulfone (PES) at its Chiba Works in Ichihara City, Chiba, Japan. The new facility will have a production capacity of 3,000 tonnes/year and is scheduled to start commercial scale production in 2018. When the facility becomes fully operational, Sumitomo Chemical's total production capacity of PES, combined with the existing facility in its Ehime Works in Niihama, Ehime, will grow twofold. 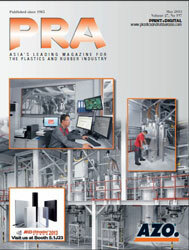 PES is one of high performance engineering plastics. It is a thermoplastic resin with excellent properties in heat resistance, dimensional stability, flame resistance, and hot water resistance. Sumitomo Chemical says its Sumikaexcel PES has a long-standing track record of supply to the market as an additive that confers toughness to carbon fibre-reinforced plastics (CFRP) used in aircraft. It is also used in dialysis membranes and automotive applications. 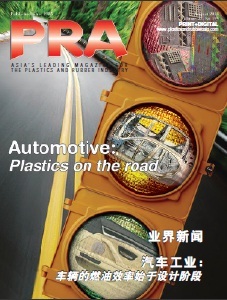 In addition to a solid growth of demand projected for aircraft CFRP and dialysis membranes, PES is likely to find expansion of demand in automotive applications in the future. To meet such an increase in demand and also considering possible benefits from production facilities operated in dispersed locations in enhancing the company's stable supply capabilities, Sumitomo Chemical has decided to construct a new production facility at its Chiba Works. The Japanese firm says it is steadily expanding business in the field of the environment and energy, positioning the field as one of its priority business areas where high market growth is expected. Through proactively offering proposals of products and services based on a basic principle of promoting "business finely-tuned to customers' needs", Sumitomo Chemical will continue to strengthen the business involving PES and other high performance engineering plastics, it adds.